Trust your apartment or commercial building exterior repainting and construction services to Accent Painting & Construction for award winning quality and customer service. 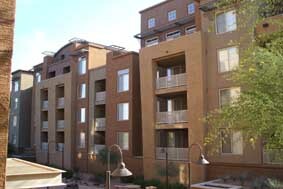 Accent Painting specializes in apartment community repainting and exterior repairs. We will tour the property and listen to your concerns and requirements. Our proposal will be prompt, detailed, responsive to your special requirements and, typically, very competitively priced. If we are not the lowest price please give us the opportunity to match or surpass our competitor's pricing. Once the contract has been signed color selection begins. While we are happy to reccommend a quality paint manufacturer, Accent Painting works with all major paint manufacturers. It is hard to tell what the effect of a color will be from a paint swatch, so we are happy to provide sample paint to use on larger areas to better see the effect of the colors. Accent also utilizes computer color rendering, from a digital photo you can pick color selection and placement. Because Accent Painting & Construction is a full service company, the project may include repair work on dry rot, wood siding, fences, fascia boards, gates, garage doors and wrought iron fence repairs and replacement. 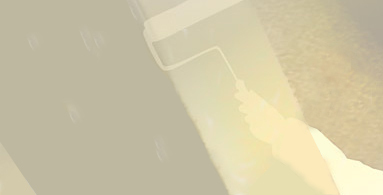 All of these repairs as well as painting are performed by our trained employees. One week before power washing of each building, notices are posted requesting the removal of exterior decorations and tying back of plants for exterior wall access. Notices are also made to residents for when to expect windows to be taped for painting. During the warranty and maintenance period Accent Painting’s Customer Service Department will make a ONE-year inspection and do any necessary touch-up. Any graffiti will be touched up within 72hours with a 3-trip maximum.